SOCHI, Russia – Sports body leaders of the Association of International IOC-Recognised Sport Federations (ARISF) elected Riccardo Fraccari, president of the World Baseball Softball Confederation (WBSC), onto the SportAccord executive Council at the ARISF General Assembly Sunday in the 2014 Winter Olympic Games host city. "It’s a tremendous honour being appointed by my distinguished colleagues, and it's an even greater responsibility," said Fraccari. SportAccord is a union of international sports federations -- both Olympic and non-Olympic. The umbrella organisation also has organisers of international sport events among its membership. 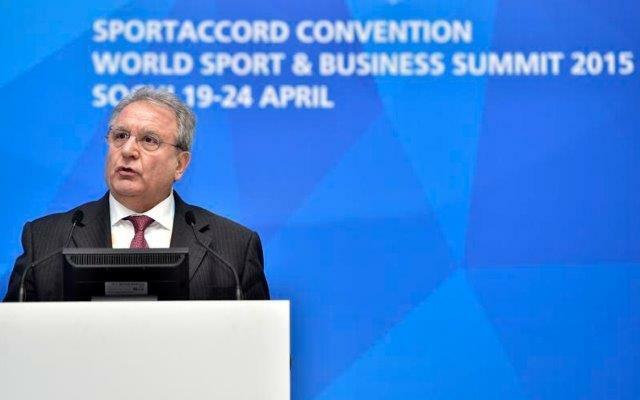 Fraccari, who has served as Secretary General of ARISF since 2013, will join the eight-member SportAccord Council as the second ARISF delegate. The WBSC is a Member of both ARISF and SportAccord. ARISF currently represents 35 International Sports Federations as a branch of the Olympic Movement.